Plan More Time for Outdoor Living Daylight-Saving Time not only signals the onset of longer days, but also the beginning of the outdoor living season. 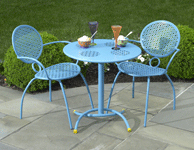 Homeowners shopping for new outdoor furnishings this year will find fresh colors, surprising new motion furniture, and maximum value in all categories. Readers Favorites Named for 2011 Readers of Greater Nashville House & Home & Garden™ have once again cast their votes for their favorites—their favorite designers, builders, landscapers, “little known” stores, and more. If you’re looking for a service provider and aren’t sure who to choose, try one of these—they’ve received the stamp of approval from readers of the only home resource guide serving the Middle Tennessee area. 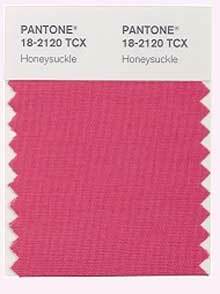 Pantone Picks Color of the Year for 2011: Pantone 18-2120 Honeysuckle Pantone LLC, a global authority on color and provider of professional color standards for the design industries, recently announced PANTONE 18-2120 Honeysuckle, a reddish pink, vibrant, energetic hue, as the color of the year for 2011. Beware of Fly-by-Night Home Repair Businesses Offering Help with Storm Cleanup Also, Nashville Codes Department Offers Help, Advice As Tennesseans cope with repairs and cleanup work following the recent flooding, Secretary of State Tre Hargett warns them to be wary of unlicensed and unregistered businesses offering to provide help. Also, there’s information from the Nashville codes department intended to help those rebuilding. Other advice for deadling with flood damage can be found at www.rononrestoration.blogspot.com. New Rules for Remodeling the Pre-1978 Home Homeowners and remodelers need to be aware of the fast-approaching April 22, 2010 deadline for full implementation of the Environmental Protection Agency’s Lead: Renovation, Repair and Painting rule governoring the work of professional remodelers in homes where there is lead-based paint. Since the use of lead-based paint was outlawed in 1978, it is generally assumed that this rule applies to any residence built prior to 1978. The original law was passed on Earth Day (April 22) in 2008.